Our advisors are often asked if getting a mortgage with an IVA is possible. Although a mortgage after an IVA is possible, it largely depends on the applicant’s individual circumstances. Selecting the right lender is vital, as mortgages after IVAs generally require specialist lenders, however this isn’t always the case. Prior to the banking crisis, lenders were a lot less restricted in approving mortgages with bad credit. Getting a mortgage after an IVA wasn’t so difficult. This relaxed approach from lenders added to a multitude of existing problems in financial markets. It’s often stated that offering best buy products to people with poor credit was one of the major contributors to the financial crash. Fast forward to the present and lenders have adopted a lot more caution when approached by borrowers with poor credit. It can be difficult to get a mortgage with an IVA, never mind a great rate, but it is possible with the correct approach. Nonetheless, the current mortgage market is flourishing with new bad credit lenders entering the market. UK mortgage rates are still very competitive which means bad credit mortgage rates can also be attractive. An IVA is an abbreviation for Individual Voluntary Arrangement. An IVA is a formal and legally binding agreement between an individual and their creditors to pay back debts over a period of time. IVAs are arranged by insolvency practitioners who are either qualified solicitors or accountants. The IVA must then be approved by a court and then recorded on the Insolvency Register. An insolvency practitioner will arrange the IVA by assessing your financial situation. After the assessment, the practitioner will produce a payment plan that suits your affordability. The practitioner will also consider your creditors and what they’re hoping to achieve from the IVA. Insolvency practitioners will communicate with your creditors on your behalf during the IVA, which is usually for around five years. Once the IVA has been accepted by your creditors, charges and additional interest will freeze. Creditors will also be unable to demand payments from you during the IVA. The agreed debt is then paid monthly to the insolvency practitioner who will then pay your creditors, whilst deducting their own fee. If there’s any remaining debt once the period of time for the IVA has passed, it is usually written off. At the end of the IVA, you no longer owe creditors any money. The record of the IVA is then officially removed from the Insolvency Register. The short answer is yes, it is possible to get a mortgage after an IVA. Although you may not be considered for the lowest mortgage rates, specialist lenders may still be able to offer some competitive rates. Getting a mortgage after an IVA isn’t a straightforward process. Going straight to a high street lender can result in you being declined, especially if the IVA is still active. The main issue here is that an IVA will show up on your credit file. One of the main areas a lender will investigate during their assessment is your credit report. Lenders will consider you to be high risk due to your IVA. Having an IVA can heavily influence a lender’s decision on mortgage approval. In order to obtain a mortgage after an IVA, you may have to seek a specialist lender. Specialist lenders can offer mortgages to borrowers who are in an active IVA or have had a past IVA. Although you may be approved a mortgage, you may have to pay higher interest rates as well as having to pay a larger deposit. Every mortgage application varies, therefore lenders assess each case individually, so there isn’t one right answer for everyone. You may be offered some great rates without needing a large deposit. Mortgage approval depends on your financial circumstances and what you hope to gain in terms of your mortgage. 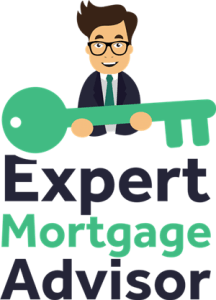 If you’re still unsure, you can ask our expert mortgage advisors a question. How long will an IVA stay on my credit file? An IVA will usually stay on credit files for six years from the date that it’s officially registered. Even if the IVA was settled in less time, it will still be evident on your credit file. Your credit report should be clean once you’ve paid your creditors AND six years have passed. This isn’t just the case for an IVA, typically any credit issues registered six or more years ago shouldn’t appear on your credit file. It’s important to note that even though your credit file may be clean after six years, lenders usually ask borrowers to declare if they’ve had credit issues such as entering into an IVA. Never be dishonest to lenders as this won’t do you any good now or in the future. Once declared, lenders may still decline your application, even with a clean credit file. Many borrowers assume that having a clean credit file will assure them a mortgage, but this is untrue. Your mortgage could be declined even with a very high credit score and clean credit file. There are many other factors for lenders to consider such as affordability, whether or not you have any other loans or whether your income is guaranteed for the foreseeable future. These are just a small number of examples that lenders will investigate in addition to your credit file. You can also check your own credit report before approaching lenders. The three main credit agencies are Equifax, Experian and Call Credit. Simply viewing your credit file won’t harm your credit score or leave a footprint of any kind. Checking your credit report will indicate what’s on your credit file and what isn’t. These are the credit agencies that lenders will usually check your credit with, but some credit agencies can make errors, so it’s vital to check them. You can use websites such as Check My File, which will show you all of your credit reports in one place. Trying to get a mortgage after an IVA isn’t easy. It’s extremely difficult going at it alone as most high street lenders tend to walk away from bad credit mortgages. Although specialist lenders work with borrowers with credit problems such as IVAs, it’s not as simple as just approaching them and obtaining mortgage approval. An IVA will usually follow other credit issues such as late payments, CCJs and defaults for instance. This will only make you even higher risk to a lender. Severe credit issues such as repossession will make it extremely difficult to get a mortgage, however not it’s still possible! Mortgage applications need to be correct from the start and need to be placed with the right lender. To minimise your risk of being declined and also getting the best available rate that you’re eligible for, utilise the experience and expertise of a mortgage broker. It’s important to speak to a broker who has specialist knowledge in the adverse credit market, as most conventional brokers don’t. Choose a broker who has a clear plan for your mortgage and not just a broker who will ‘try and see’. Mortgage applications require a structured approach to minimise the risk of being declined. Our mortgage advisors specialise in adverse credit and secure mortgages for borrowers with bad credit on a daily basis. 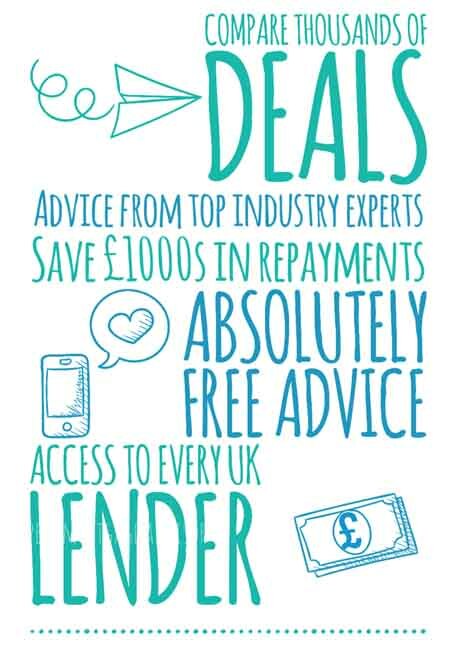 You can make an enquiry today and speak to a specialist mortgage broker.